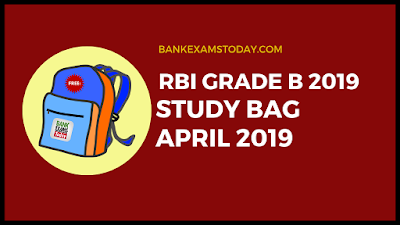 We are providing you "RBI Grade B Study Bag- April 2019" with a promise that the contents in this bag will help you revise and prepare all the important topics and concepts for the exam. This is a kind of revision capsule at a single place for quick and easy revision. This is a "Free Monthly Bag" which will be delivered to you in order to provide you high-quality, comprehensive and to-the-point study material. Daily Video Classes of 20-25 minutes.